“I’m Sergey Brin and that’s Larry over there. I’m gonna jump right into it here,” Brin began in his typically informal style. 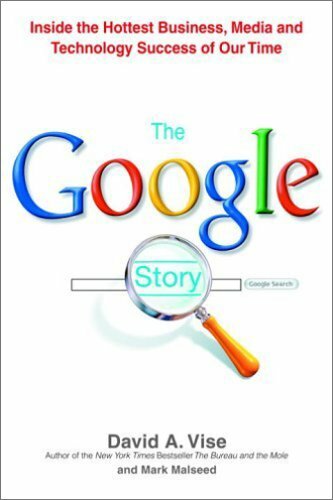 The Google search engine took more factors into account than any other search engine on the market. It didn’t just count words or count links and deliver results. It combined information about links and deliver results. It combined Information about links and words with other variables, in new and interesting ways that produced better search results. For example, Brin said, it mattered whether words or phrases on Web pages were close together or far apart, what their font size was, whether they were capitalized or in lowercase type. “Every time you create a link,” Page told the hushed audience, “you’ve created a citation. But if you just try to count citations on the Web, which is what a lot of search engines do, you run into problems. The Web isn’t like scientific Literature, because anybody can produce Web pages. “One way to think of PageRank,” he explained, “is it’s a usage model. You have a random [Web] surfer. It’s kind of like a monkey, just somebody who sits around and clicks links all day and doesn’t have any intelligence. You could argue that this kind of approximates people’s behavior on the Web.” Page paused, the audience chuckled, and he went on.